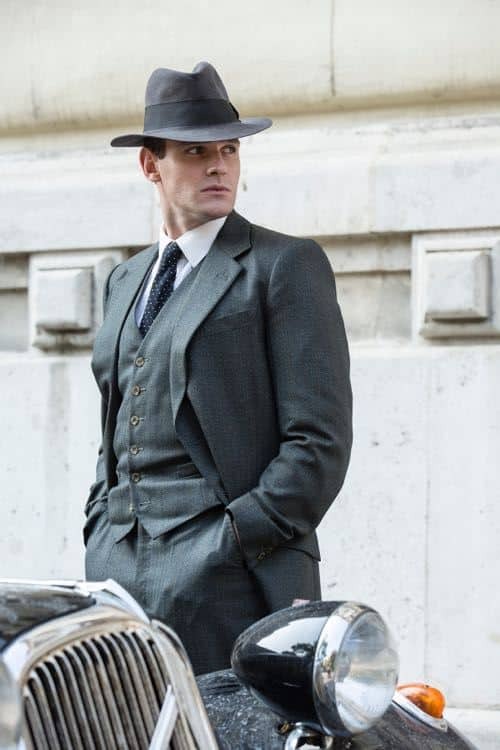 Writing for this blog means that now when I see a costume movie or TV series and like the costumes, I actually bother to look up the costume designer. I thought the recent Vanity Fair was quite well done, so I wanted to take a tour through designer Lucinda Wright‘s resume. 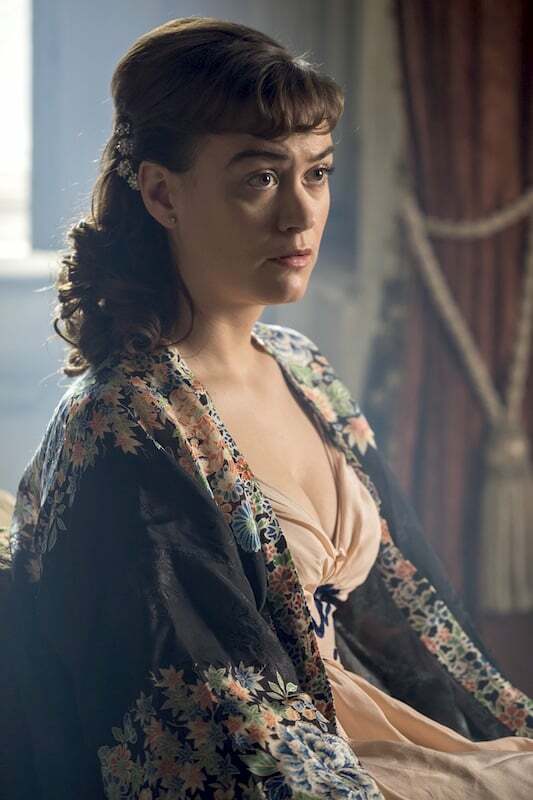 Unfortunately she hasn’t done many “top tier” productions so it was hard to find much in the way of her thoughts on her work, so I’m including some comments about the costumes from others involved as well. She seems to be a great example of the concept of “costume designers don’t always call the shots” and “sometimes the goal isn’t historical accuracy” — because she can do Vanity Fair, but she also did the first season of Jamestown. Enjoy and ponder with me! A World War I movie. The Ray Winstone/Helena Bonham Carter bio-miniseries. Emily Blunt as Catherine Howard. Seriously questionable. 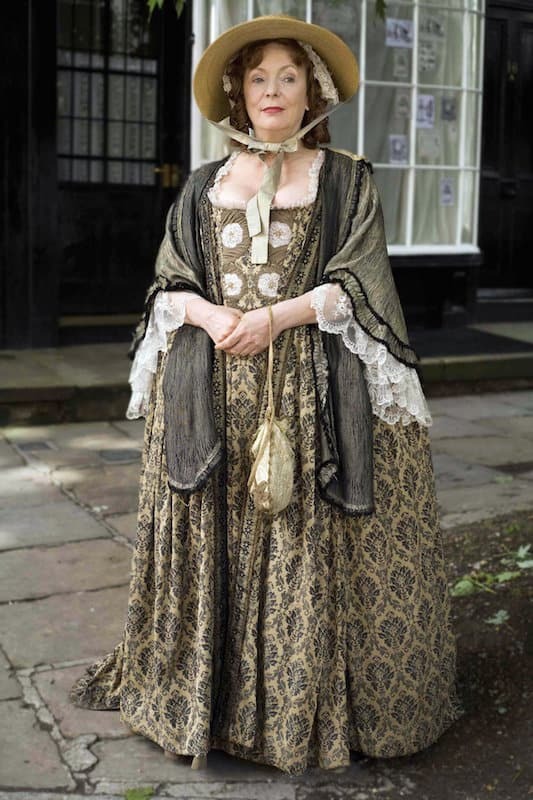 Helena Bonham Carter as the sparkly version of Anne Boleyn. 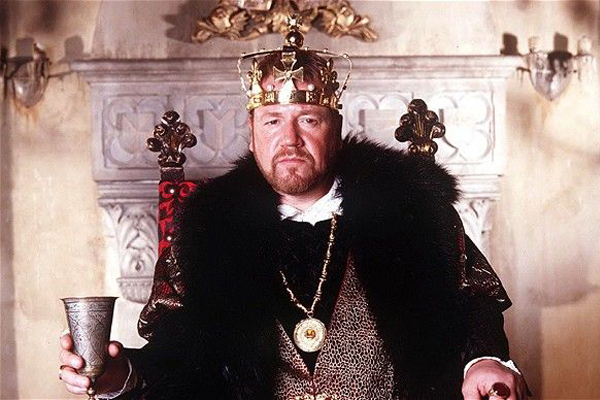 Ray Winstone as gangster Henry, Sean Bean as Robert Aske. Henry gets a few more layers here, but it’s not good. 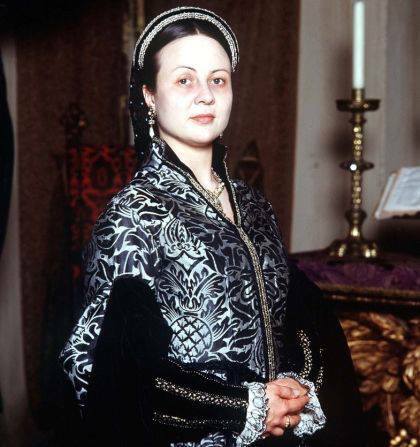 Anne of Cleves. I don’t hate it, so that’s something? And then they bust out all relatively historically accurate (this has to be recycled from another production, right?) 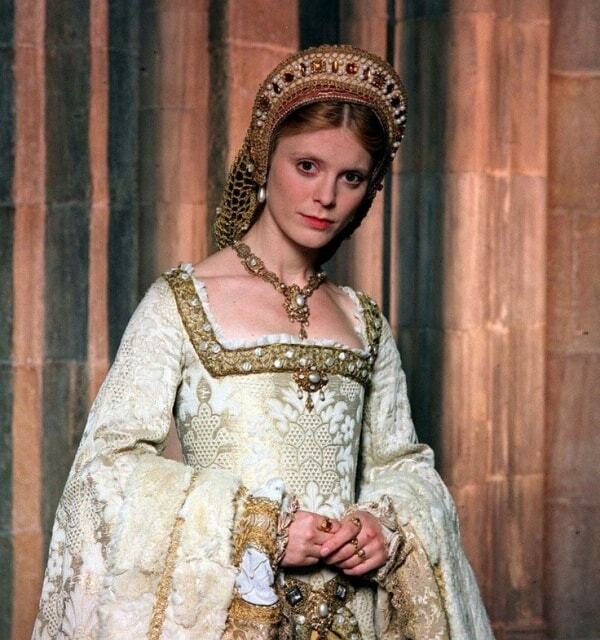 with Emilia Fox as Jane Seymour. Wright was the designer for the first season of the reboot. It’s Doctor Who, we probably shouldn’t look too closely. 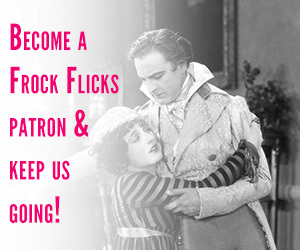 The entertainingly smutty adaptation of the 18th-century prostitute novel. Nice shawl, ignore the feathered hair. I hate the ribbon ties, and the dress looks cobbled together from different ensembles, but it’s nice. Again with the hat, but otherwise, thumbs up! 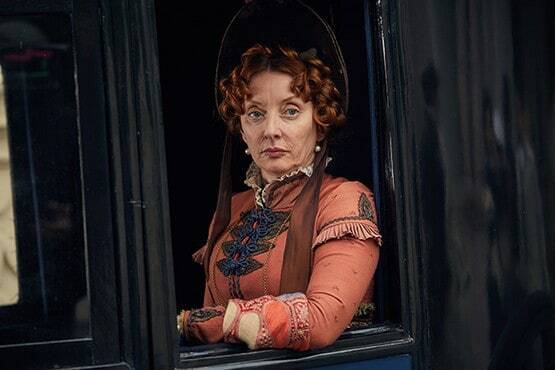 Alison Steadman as a madam. LOVE the mantlet wrap, which you don’t see enough of on screen! 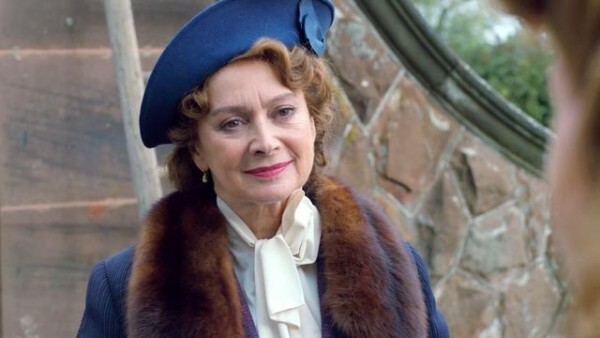 Biopic about a famous Edwardian music-hall actress. Love the lace, stripes, and hat! 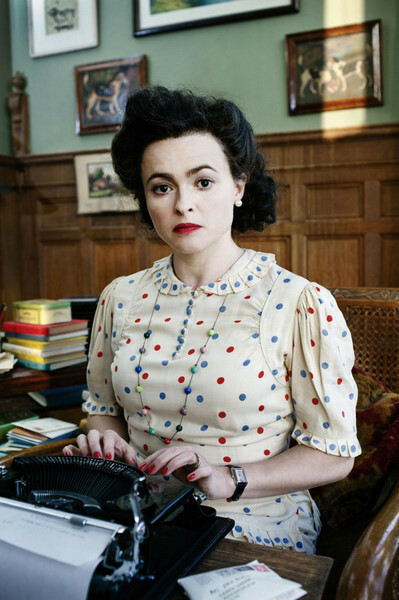 A TV movie about children’s author Enid Blyton, primarily set in the 1940s, starring Helena Bonham Carter. That is a great blouse. 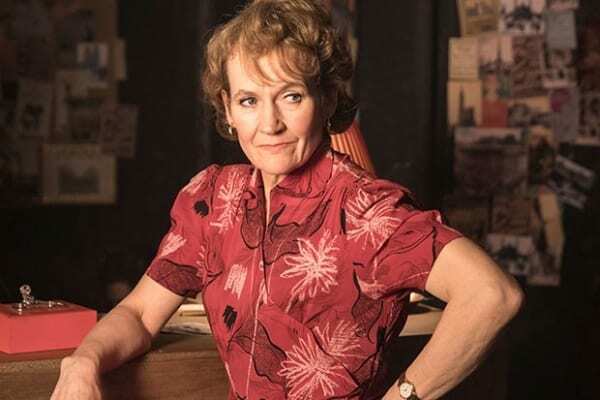 A series of British TV movies about a Scotland Yard detective. This one is set in 1860. This one included Olivia Colman! This seems more 1880s-90s to me, maybe there’s a time jump? Various interconnected stories set in 17th-century England and the American colonies. 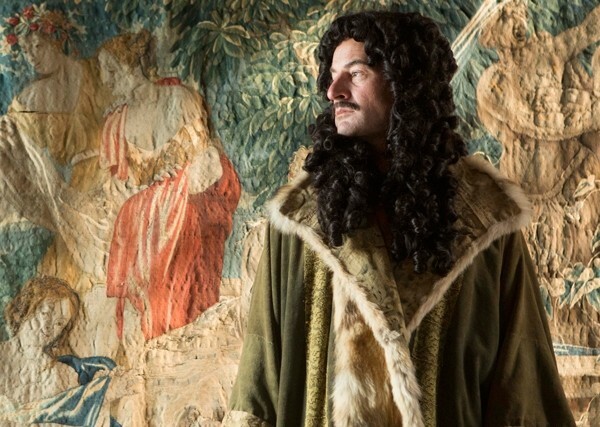 Jeremy Northam as Charles II in a full-bottomed wig. 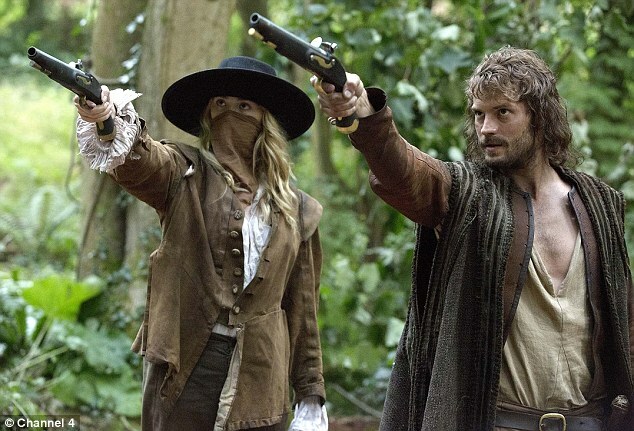 Jamie Dornan is a robber. His hair is BAD. The wealthy ingenue. The dress is 90% fab, THE HAIR THO. The Earl of Monmouth. 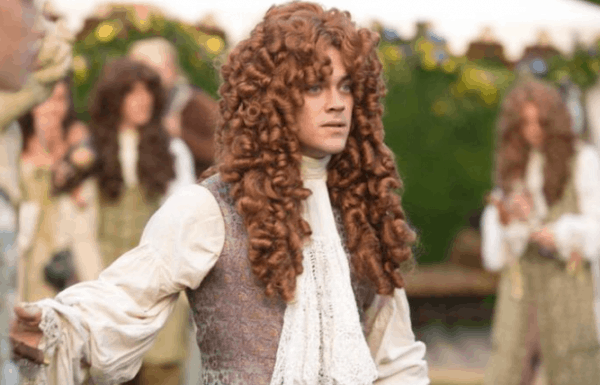 Thumbs up to that wig! Women living on the home front during World War II. 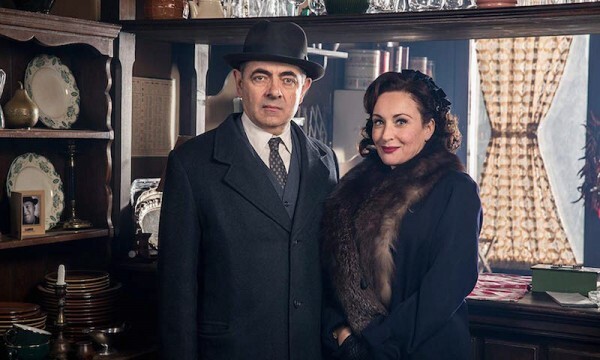 The fictional 1950s French detective is played by a serious Rowan Atkinson. 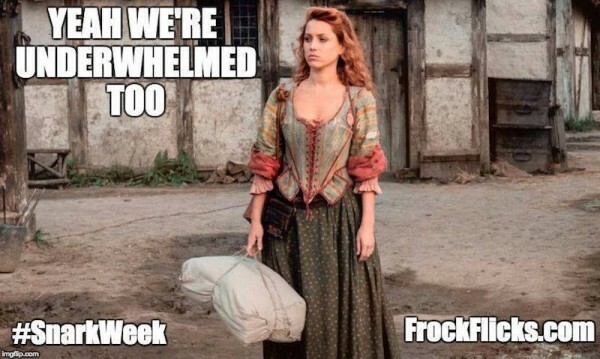 Here’s where we go to crazytown: supposedly set in early 17th-century colonial Jamestown, but full of WTFery. The classic Regency novel by Thackeray. Just scraping by practical wear. Gotta put Becky in a slutty red dress! Lovely details on this pelissse. 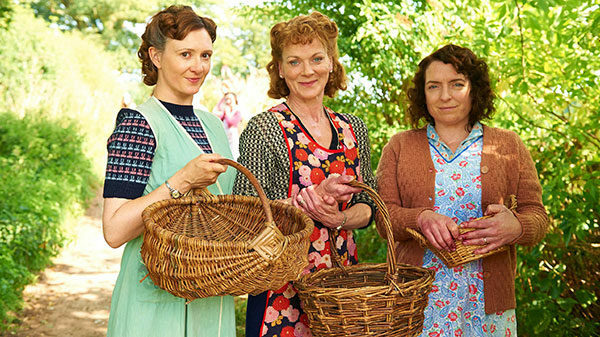 Currently in production: “Summer 1939. Influential families in Nazi Germany have sent their daughters to a finishing school in an English sea side town to learn the language and be ambassadors for a future looking National Socialist. A teacher there sees what is coming and is trying to raise the alarm. But no one is listening” per IMDB. With Judi Dench and Jim Broadbent. 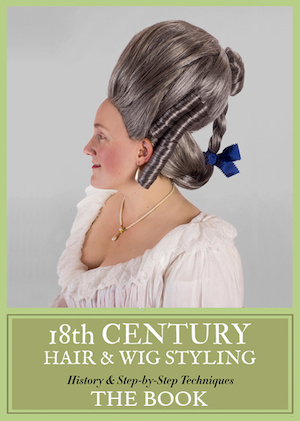 What’s your favorite of Lucinda Wright’s historical costume work? AAARGH! 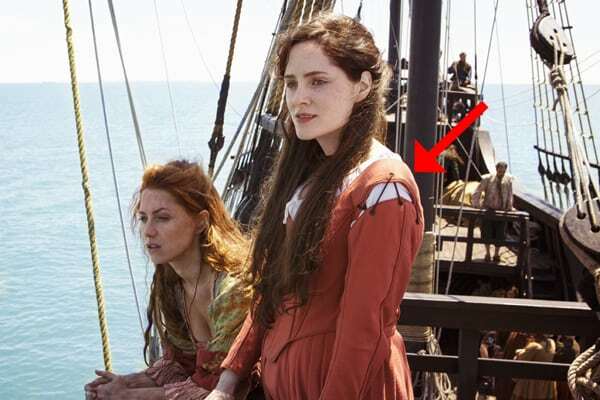 Emily Blunt’s Catherine Howard gown – AAARGH! It isn’t even so much that its inaccurate: more that it’s so flimsy, tacky, ill-fitting and cheap-looking that I can’t believe that they didn’t hire it from a fancy-dress shop, and not a particularly high-end one either. 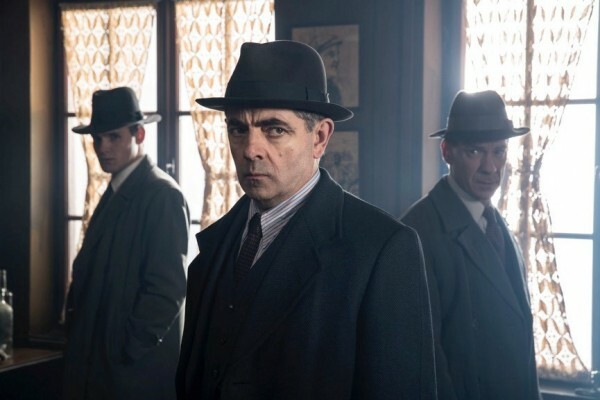 Rowan Atkinson is really good as Maigret. 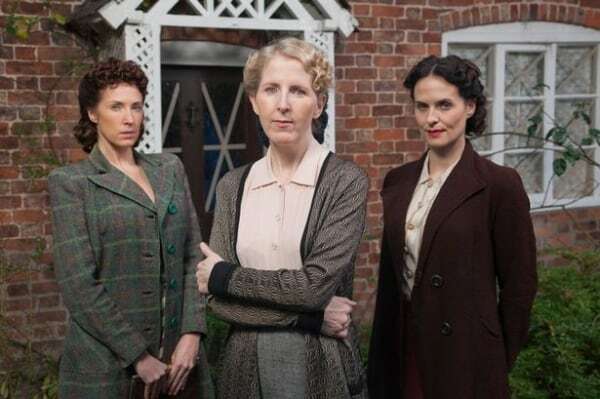 No traces of Bean or Blackadder, once again proving that comedic actors can do drama very well. As for the costumes, I admit I wasn’t paying much attention to them which must mean they were really well suited to the time period. 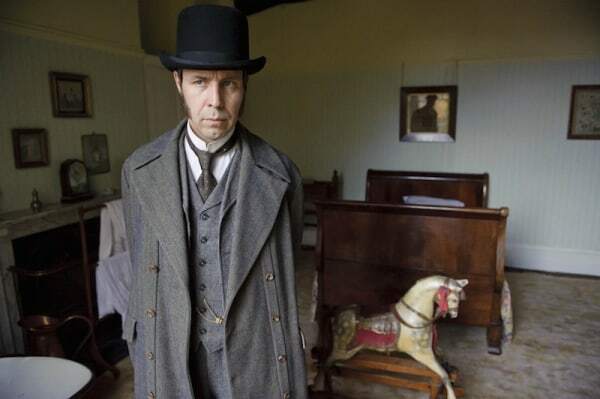 The costumes in ‘The Suspicions of Mr Whicher’ (both) are pretty good. 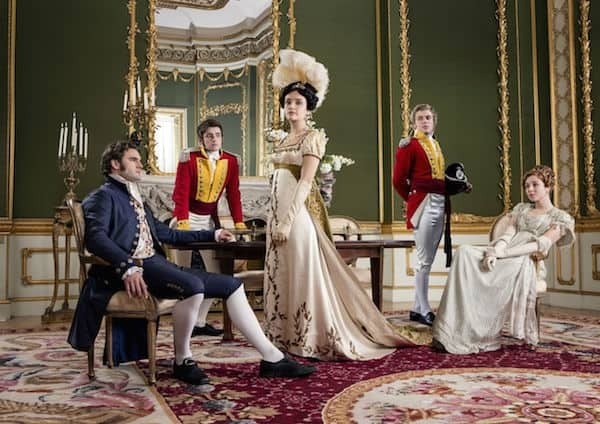 I do Victorian and I wasn’t particularly offended by much except that they kept having actors in Victorian suits leave ties off/ collars open. 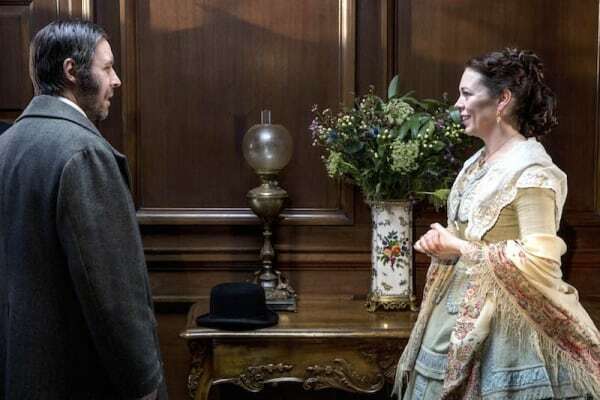 I believe there is a time jump in Mr Whicher 2, with them having met when Olivia Coleman’s character was young and it starts out when she is older, with flashbacks. 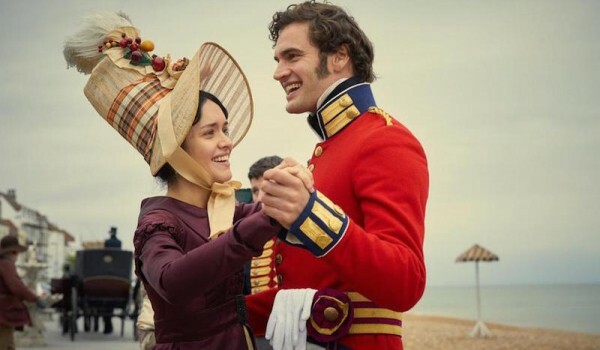 I think I saw a couple of dodgy bits in Vanity Fair (like TIE YOUR BONNET RIBBONS ALL OF YOU) but it was mostly okay. The red dress is intrinsic to the plot in Vanity Fair, because Becky just straight up steals the fabric from her sister-in-law and it’s the start of everyone realising what she’s really like. Anyway, the bonnets were a shape you almost never see as it can be very unflattering and I got really excited that they used it. Even if you can just buy the pattern from Lynn McMaster, it’s still a tricky one to make and trim. Miss Marie Llloyd was my unabashed favourite, they even did the ‘She sits among the cabbages and leeks’ story. The costumes were pretty good, the odd theatrical one where I hmmmmmed. I enjoyed it, even if it could have stood to be a bit longer – rather rushed over a lot of her life. I mostly study late Regency, Victorian and Edwardian fashion so I can’t comment on the Tudor stuff unless it’s really egregiously bad! 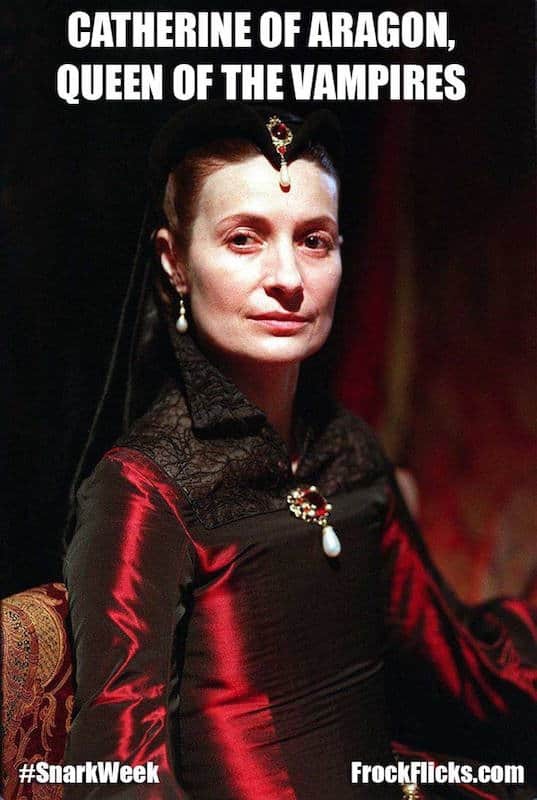 The stolen fabric was for the court dress to be presented to the Regent; Becky snatches it when she’s helping her brother-in-law sort out his newly deceased father’s estate. Thackeray lets the reader in on it (the novel has constant asides to the reader, and is hilarious), but the other characters remain clueless even though they do raise eyebrows at how Becky is able to dress so lavishly. 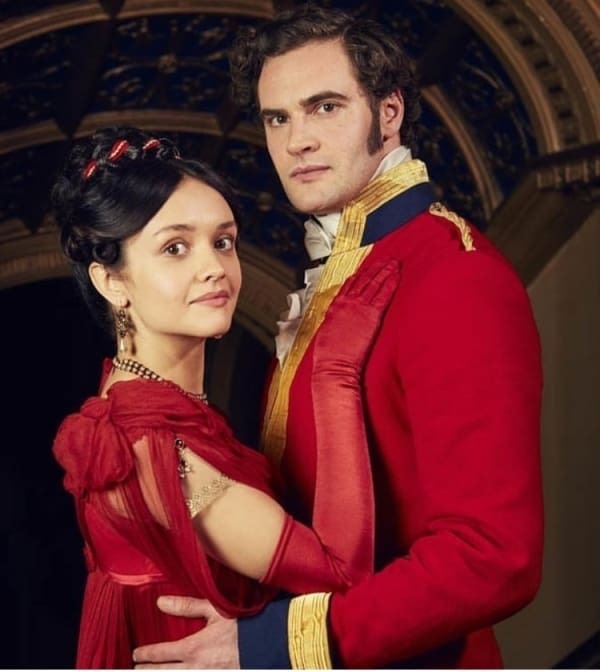 The red dress appears to be from the ball just before the attack on Waterloo; there’s no color description in the novel, but it’s a killer dress. One thing that has always struck me about “Vanity Fair” costuming: William Makepeace Thackeray also copiously illustrated his own novel; he actually writes in the novel that he refuses to give his characters period-appropriate clothing, which he maintains would make them look ridiculous (and provides an example of how they’d really look). Instead, his illustrations all show 1840s clothing. Which is another reason I adore the novel and don’t yet believe anyone has dramatized it right. Yes, the 1840s illustrations are jarring! I love learning that Helena Bonham Carter is One Of Us. 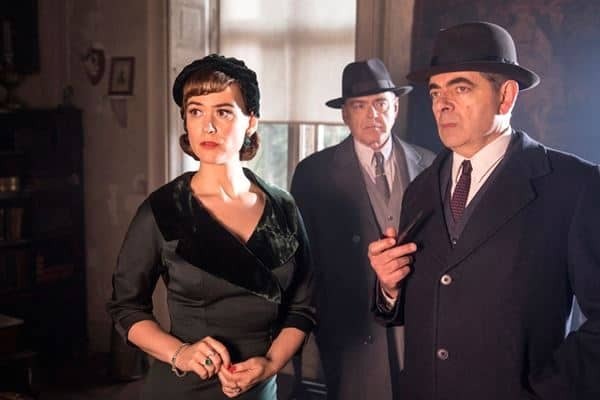 LOVED Maigret until the episode with a Burlesque club scene when all the underwear costuming was modern. 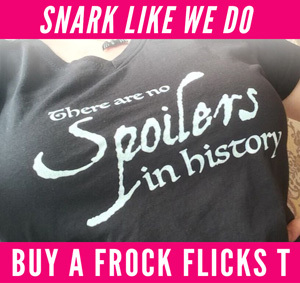 ERK, It was so noticeable, I had this weird – are we in a time war? moment.